Pink Rice® is trademarked brand Now Offering Sizes Small – XXXXL! 96% Nylon, 4% Elastane – Fully stretchable and retains its shape perfectly , Best Quality & Best price in the market Guaranteed or your money back no questions asked! Machine Washable (please follow the instructions).In choosing your size , please follow the measurements in the schedule uploaded in the images section & If your size falls between 2 sizes we recommend you choose the bigger size for extra comfort. Category: Padded Comfort Bra.Tags: genie bra, genie bra reviews, Marielle Multi Pack Bra Inserts, PACK OF THREE Camiselle perfect comfort bras, Pink Rice 3 Pack Seamless Sleep Bra, Women Genie Bra Tummy Camisole. What Makes The Pink Rice 3 Pack Seamless Sleep Bra So Comfortable? The Pink Rice is made of a woven, comfortable stretch fabric giving you that wonderful seamless & tagless design, its also double stitched unlike other sellers whos bras come apart in the wash, our dont!. The fabric is a unique blend of 96% Nylon and 4% Spandex giving an amazing 4-way stretch and a super soft feel. Maximum coverage ideal for under low cut tops and dresses. Gives you the support you need with no under wires, no hooks, no adjusting straps and no hassle. The Beauty bra’s secret is in the circular knit, comfort stretch fabric that custom conforms to any size and never loses its shape. It’s great for expectant mums and makes the perfect sleep bra. Wide comfort lift band eliminates the need for under wires. Designed to move to your shape without losing its form. It’s like having your very own custom made bra. Doubles as a camisole too for a smooth, stylish appearance. Not only does the Pink Rice® bra look great, it’s easy to clean too. Just throw it in the washer and dryer and the Pink Rice® Bra bounces right back to its original shape Over 80 per cent of women don’t own a bra that fits them properly but there is no need to worry about this with the beauty bra. You’ll look lifted; feel sexier, and more confident. No more back fat or unsightly top bulging. The perfect uplift fit that moulds to your body giving you the ideal cup size every time. Now Offering Sizes Small – XXXXL! Non-wired , Non-Padded & Seamless With wide Straps so it will be your perfect solution for a sleep in Bra or just Everyday Bra! It is also perfect for after surgery or during and after pregnancy. 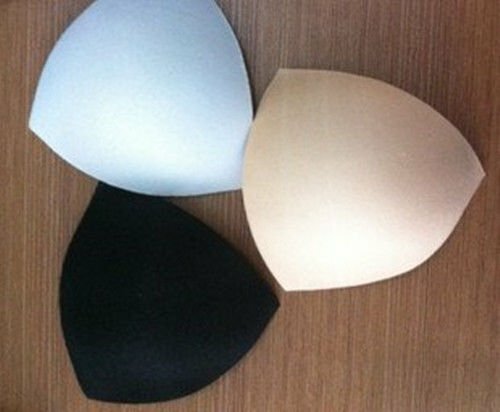 Premium Quality Thick Material – Guaranteed Best Seamless Bra On The Market Seamless Support Comfort Sport Stretch. 96% nylon 4% spandex – Highest Quality Possible, we only sell the highest qrade with the finest materials used, we offer a full money back Warranty. If you find our bras not as supportive as you like can we advise you try ‘Doubling them up’? This is a great tip and offer much better support.